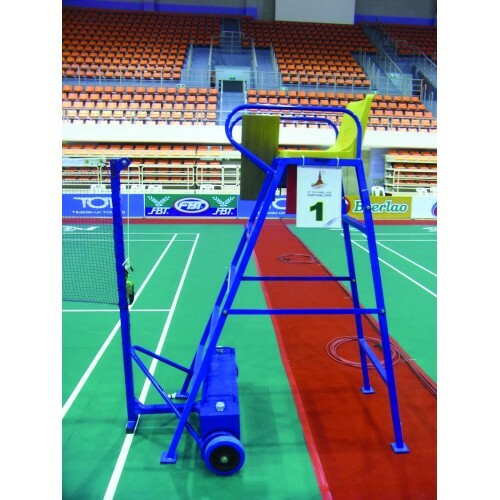 The umpire chair is made from aluminium and it's frame is blue powder coated. 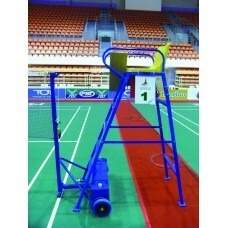 It is equipped with an aluminium seat. Furthermore, there is a woodern baord attached to improve the referee's comfort while writing.